While there’s no denying it’s been a hot stretch, the South Okanagan has yet to break any temperature records. 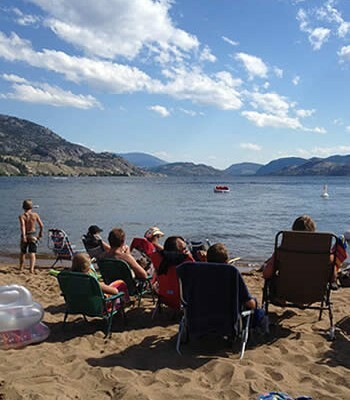 The high of 37.1 C recorded Monday in Penticton fell just shy of record levels, while Tuesday’s temperature threatened to break the mark of 37.2 C set in 1944. 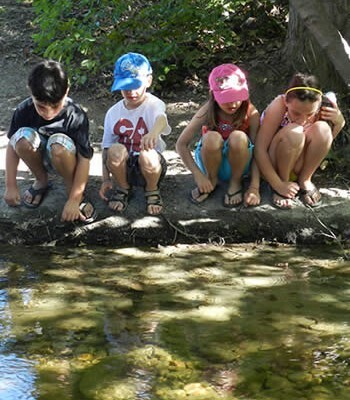 But with highs expected to be in the mid-30s throughout the rest of the week, the summer is shaping up to be pretty average, despite the fact that other parts of the province are suffering from heat waves combined with the fallout from lightning storms. According to Doug Lundquist, Environment Canada meteorologist, the only big anomaly to date is precipitation which, contrary to popular belief, is actually a bit higher than normal in this corner of the valley. “For the period of June 26 to July 25, there’s normally about 25 millimeters of rain in Penticton, and you have had 38 millimeters,” he said, adding that the average for the period covering the last 90 days is 96.6 millimeters and this corner of the valley has logged about 85 millimeters. “There was heavy showers in August last year … but summer precipitation can be spotty,” he said. 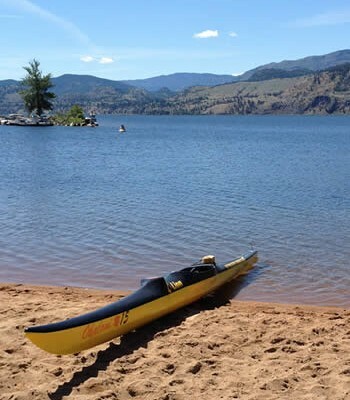 So spotty that last weekend’s deluge came along with 11 millimetre of rain and winds of 65 km/h, yet it was followed the next day by an ideally sunny Okanagan day. That means the showers and thunder storms that raised alarms across the Interior last week will likely make a return. “Thunder storms are what give us precipitation May through August,” Lundquist said. While the sky is offering up some much-needed H2O, a particularly dry winter is still causing the valley some angst as local rivers and lakes are nearing record lows, and the continuation of dry and hot weather could lead to some rivers in the south interior and south coast approaching record lows in four-to six weeks. This will likely result in low water supply, lower than normal lake and reservoir levels, and reduced groundwater levels. In some areas, fish and other aquatic organisms may be affected. 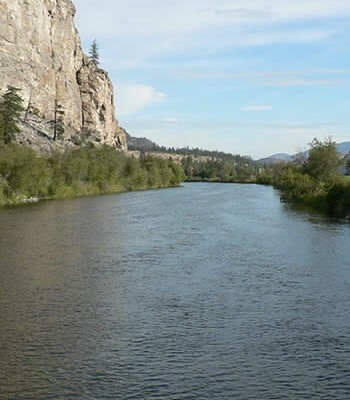 Some specific areas of concern locally are the Similkameen River Basin and the Okanagan River and Kettle River Basin. 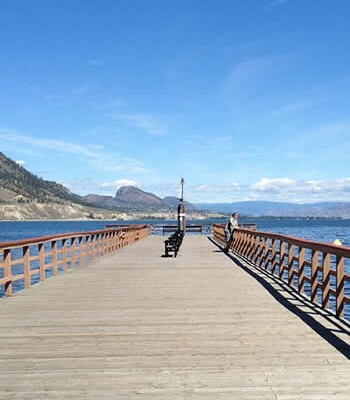 A drought for Osoyoos Lake was declared in May, based on a forecast of well below normal runoff for the Similkameen River and the Tulameen and Similkameen rivers at Princeton are near 20-30 year low flows. Meanwhile, inflows to Okanagan Lake have been well below normal for the past 12 months, and are now ranked as the fifth-lowest since measurement began in 1918. 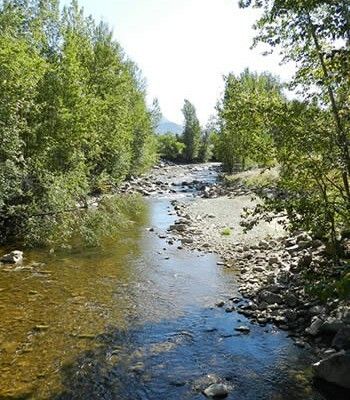 Nearest to Penticton, Shatford Creek has had higher flows, being only near two-year low flows, possibly as a result of some localized rain. “What we need to do is conserve as much water as possible,” said John Slater, parliamentary secretary for water supply and allocation to the minister of environment. During a drought workshop hosted earlier in the month by the Okanagan Basin Water Board, vested participants identified a looming potential for drought, though not all were of the same mind on how that would play out. To that, he said the position the board is taking is that there is only one source of water and everyone in this valley needs to work together to make sure that if drought occurs, that they’re acting in the best interests of the valley on a whole. 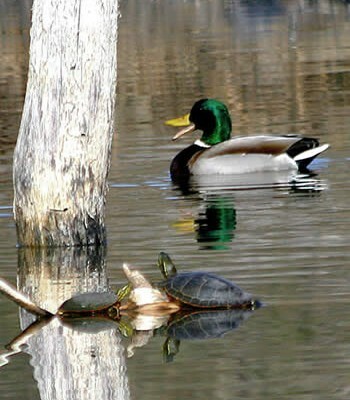 Because when it comes right down to it, finding a balance between human consumption and agricultural consumption is necessary for all species reliant on the waterways. 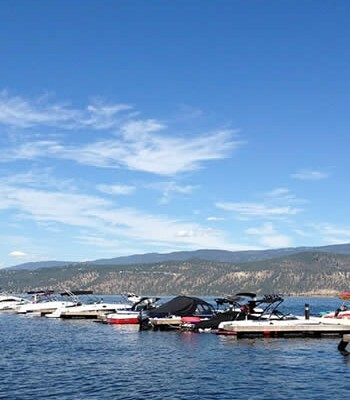 The Okanagan River Channel is once again filled with a variety of flotation devices as people flock to the water to get some relief from the summer heat.